An HDMI Mod For The Nintendo 64? That's A Good Start. The more television technology advances, the harder it is to keep our classic consoles hooked up. Modder Marshall over at Retroactive is working on a device to bring the last cartridge-based Nintendo console into the HDMI age. Anyone know how to solder? Tentatively scheduled for a Q1 2014 release, the N64 HDMI Coverter is a board that the tech savvy can install inside their ancient consoles in order to give them a DVI output, which can then be adapted to HDMI or VGA if need be. 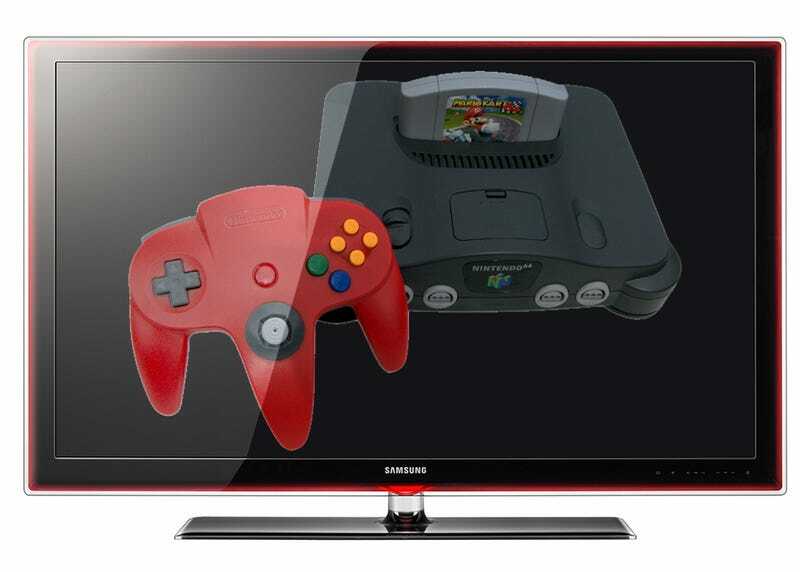 Imagine crisper, brighter N64 graphics on your television set, without having to resort to shady emulation. Man, I feel a little Body Harvest coming on. Marshall is a busy man, so the cards will be ready when they are ready. He won't install them, but isn't above selling in bulk so folks can sell consoles with the mod preinstalled (probably my choice). Or you can solder them yourself, if you're into that sort of thing. Interested parties can sign up for the mailing list to be notified once the N64 HDMI Converter goes on sale. Now we just need these for every console that never had an HDMI connector, and we're good.